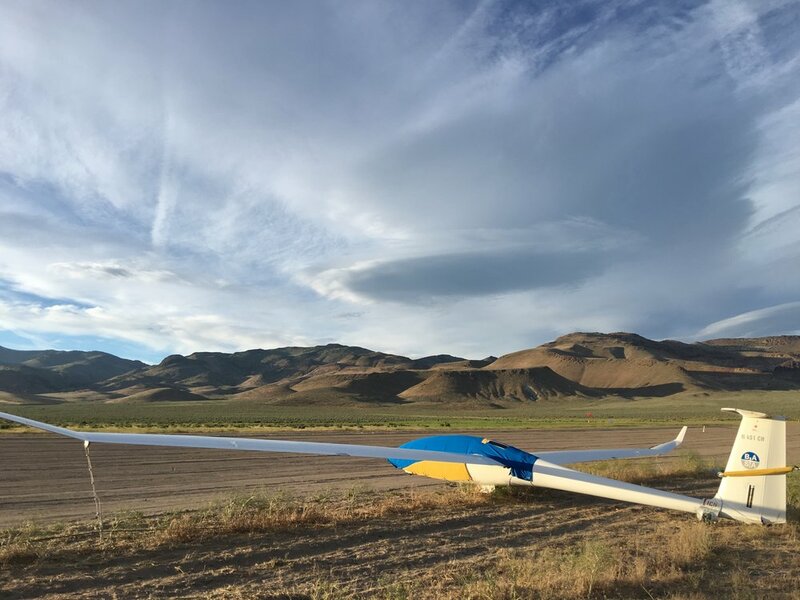 Bay Area Soaring Associates (BASA) is a club of pilots that fly high-performance sailplanes in the best soaring conditions and locations in the world. We are dedicated to safe flying, and to improving the cross-country, mountain flying, and atmospheric wave skills of our members. To join BASA, you must possess a Private Pilot - Glider certificate from the FAA, which you may obtain with the help of the Hollister Soaring Center. To fly BASA ships, you must also obtain relevant sign-offs from BASA-approved CFI-Gs, and also remain current at the sites you wish to fly them at. Associate Members (those who do not own club assets) pay a one-time deposit of $450, and $100 monthly thereafter for unlimited use of club ships. Sponsor members (who do own club assets) buy their membership directly from retiring Sponsor members, and pay $60 monthly thereafter. To join BASA, please see our application for membership. Please also have a look at our flight rules and flight committee checkout procedure. Our membership chairman is available at membership@flybasa.org to answer any questions you may have.